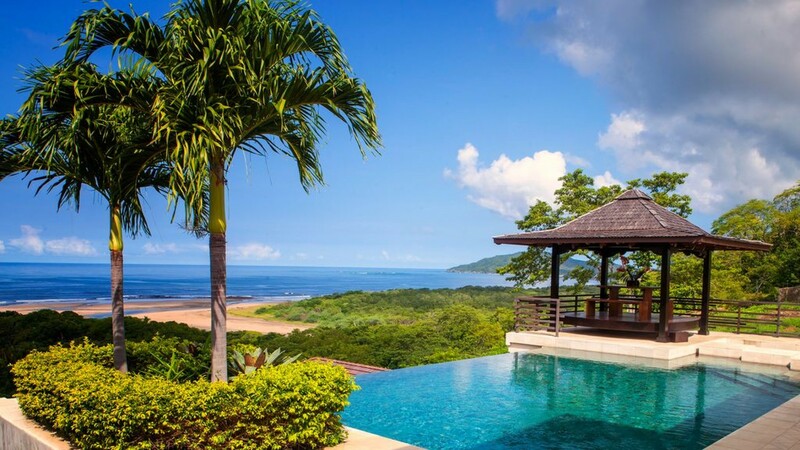 Perched overlooking the shimmering Tamarindo Bay in Costa Rica, you will discover the luxurious 8-bedroom Villa, Casa Bali. 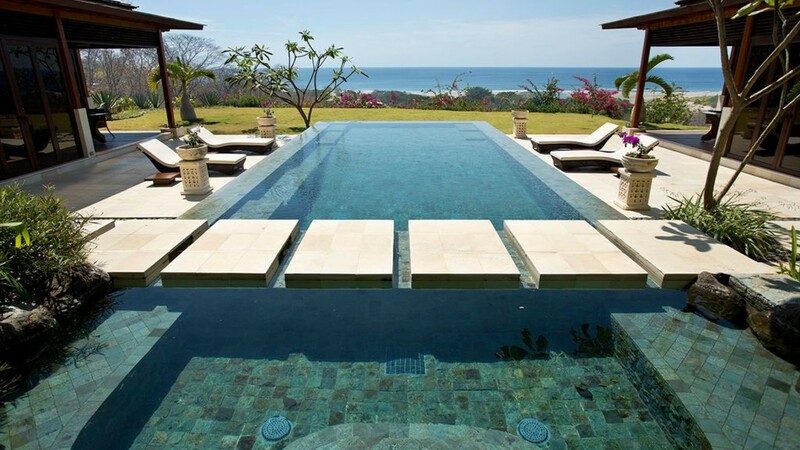 Specifically located in Playa Tamarindo, the villa features panoramic ocean views, three kitchens, two infinity pools, expansive indoor and outdoor spaces, panoramic views over the Pacific and the finest finishes imported from around the world. 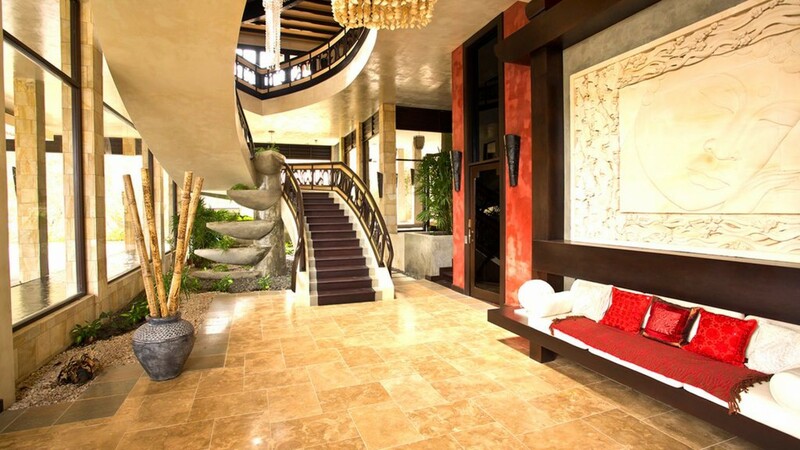 Indulging in its own private surroundings, Casa Bali is also a short distance from nearby beaches and key destinations. 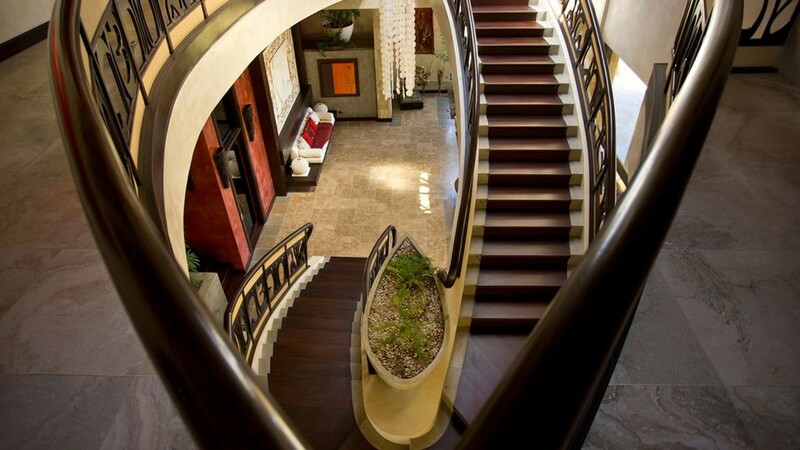 The villa can accommodate up to twenty-two guests and encompasses a total of 23,000 Square Feet. 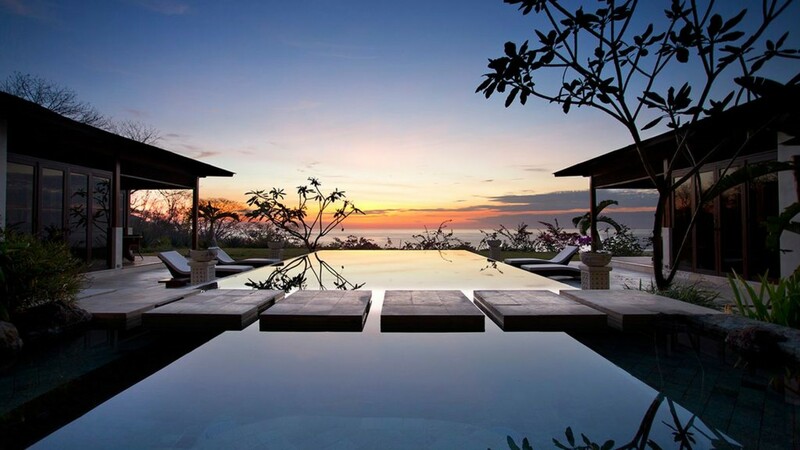 Casa Bali estate provides a tranquil and vibrant vacation setting, overlooking the Bay. 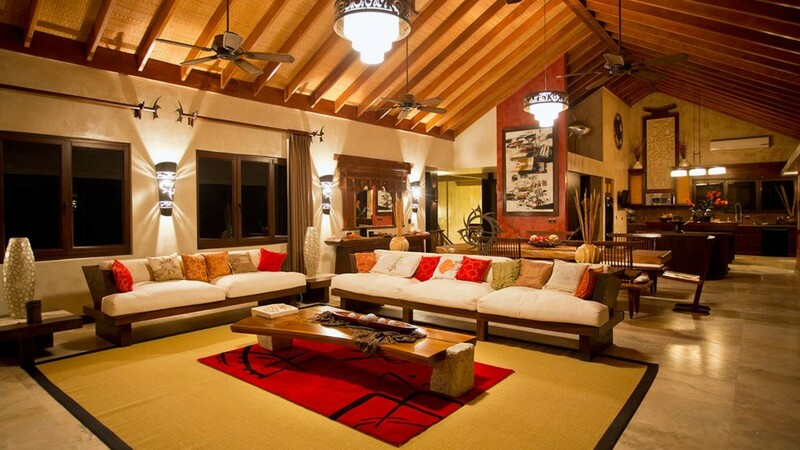 This property brings to life a traditional Costa Rican lifestyle and vibrant styled architecture. 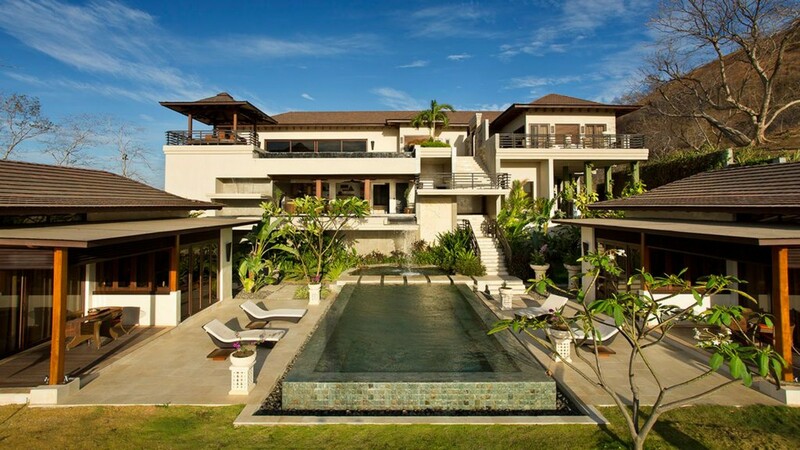 The overall impression of the villa is captivating. The stone structures and incredible artworks that lace through the villa form an elegant and harmonized natural environment. 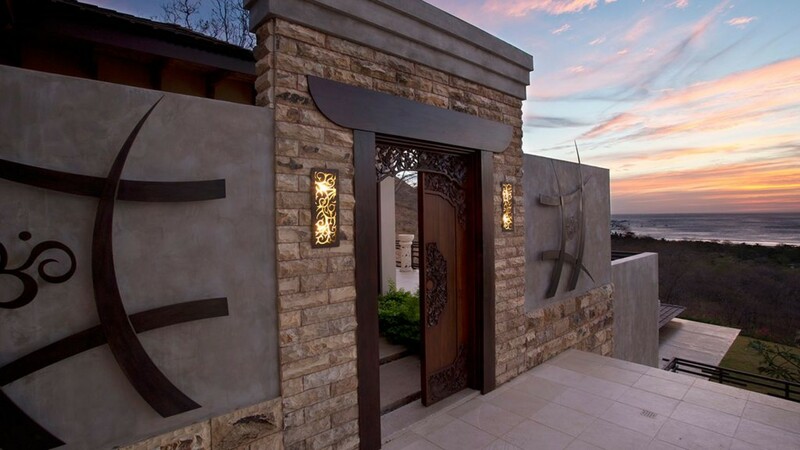 Notice the exquisite water features, including the waterfall structure found in the main entrance or the modern paneled pathway that is bridged over the infinity edge swimming pool. 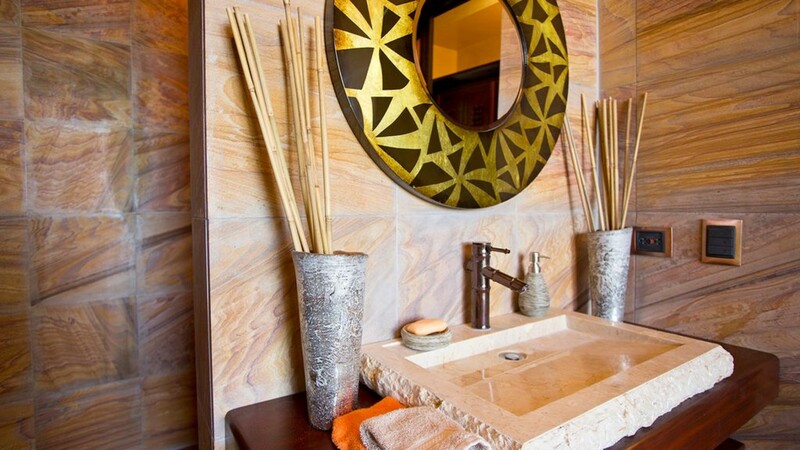 Let the rhythmic sounds of the trickling water lull you into relaxation as you lounge about your private villa. 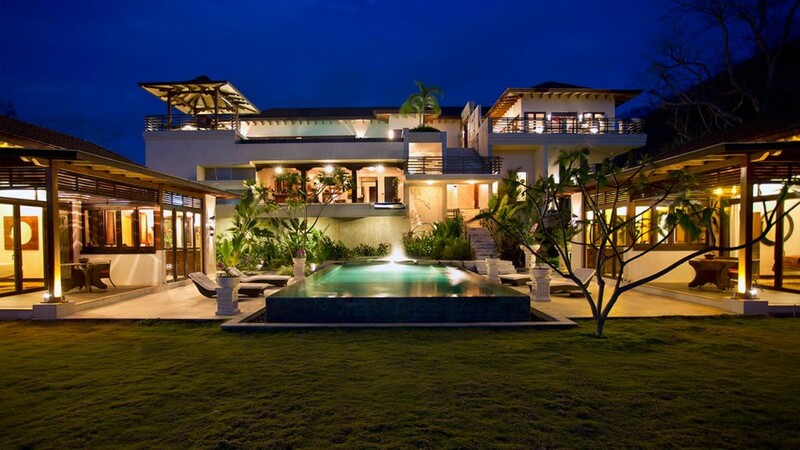 Landscaped tropical gardens lace the incredible estate, creating a vivacious and serene exterior living environment. With three-tiered levels, each featuring a private swimming pool, the villa indulges in a profusion of top-class amenities. The main living areas are based on the top floor and indulge in an open plan living space. The living, dining and kitchen areas blend into one and open out onto the terrace seamlessly. 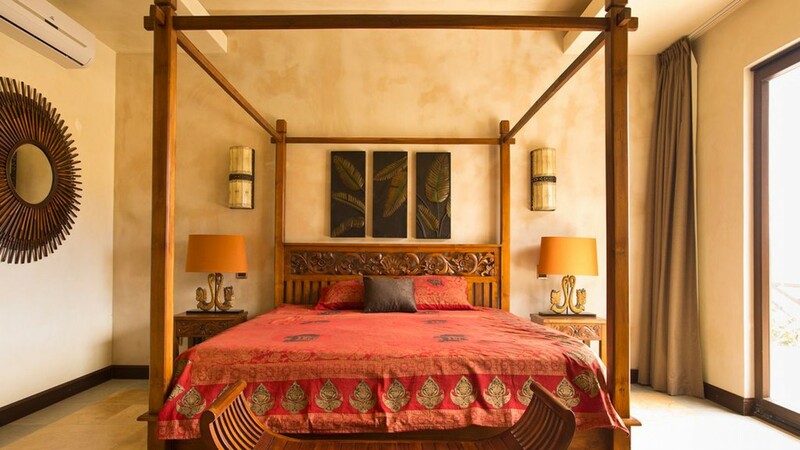 The room encompasses high vaulted ceilings with smooth tiled floors and caramelized wooden furnishings. The large windows and direct access onto the terrace create an open and airy ambiance for you and your loved ones to enjoy. The living area is fitted with two elongated, plush sofas and soak in the views of the ocean over the terrace. Behind the sofas is a beautiful wooden table seating six guests. The kitchen is based at the end of the room and comes fully equipped. The kitchen includes additional seating for four guests on the wooden bar table and another four guests in the built-in table alcove. Fitted with elegant marbleized counters and rich wooden cabinetry the space is a chef’s dream come true. Making your way onto the large terrace your gaze will instantly fall upon the endless ocean views. Lounge out on the terrace day after day as you unwind in style beside the crystalline infinity pool. The silk-like, blue waters of the swimming pool are perfect to slip into as you cool off under the sun’s radiance. Have a crisp morning swim or simply float on your back looking up into the endless blue skies. 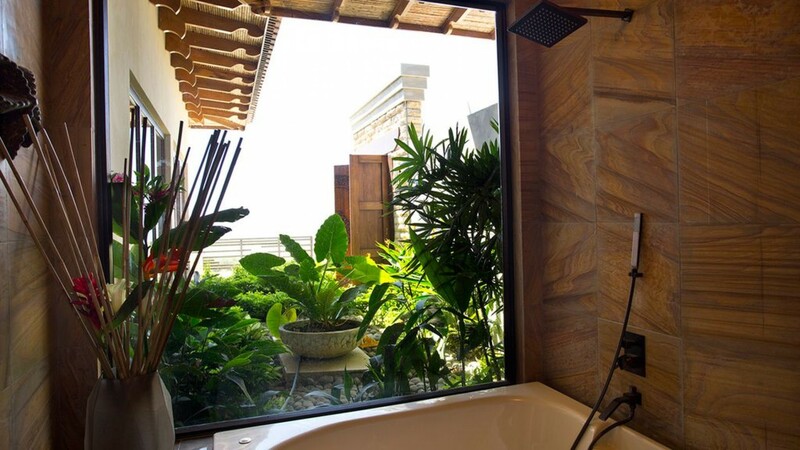 Listen to the breeze chatter through the leaves of the vibrant tropical plants that surround you. Indulge in some outdoor dining in the covered Gazebo in the evenings or hire a professional chef to cater for your delicious meals. Make the most of the tropical weather by indulging in this alfresco lifestyle, watching the endless ocean glimmer before you always. 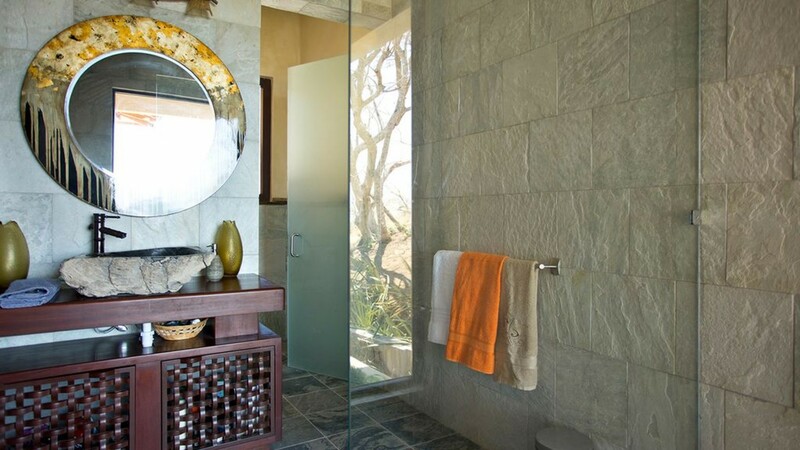 The villa has a total of 8 luxurious bedrooms, each with access to the villas en-suite bathrooms. 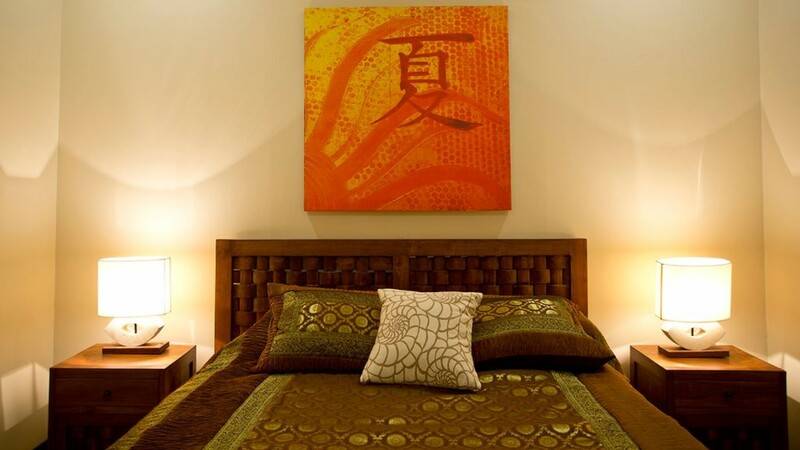 The rooms are fitted with lavish linens and supplied with fresh towels for the duration of your stay. 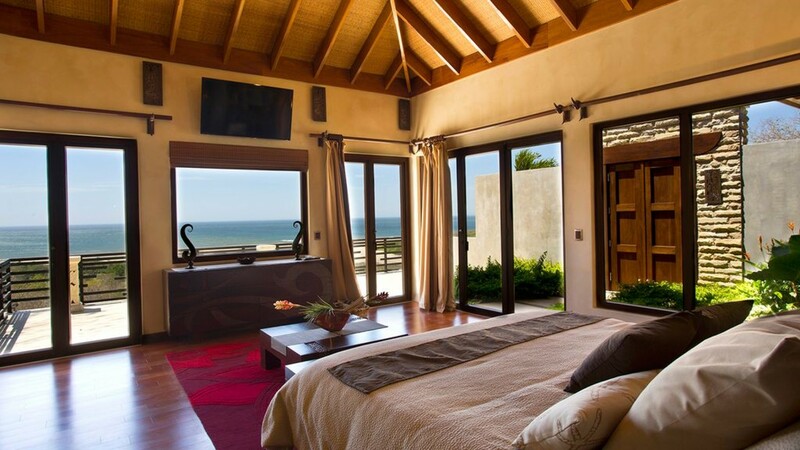 The bedrooms feature high-resolution TV’s and offer views of the surrounding gardens or the panoramic ocean views. The Grand Master Suite is based on the top floor and overlooking the unobstructed sea views. With direct access out onto the terrace, the room is flooded with light and space. 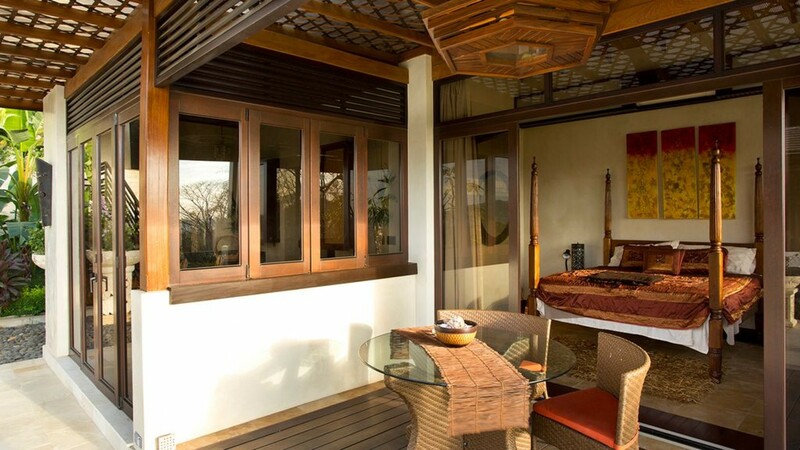 The room includes a luxurious king-sized bed, desk and private en-suite with a jetted bathtub and shower. The second master suite also indulges in a king-sized bed with views over the Bay. 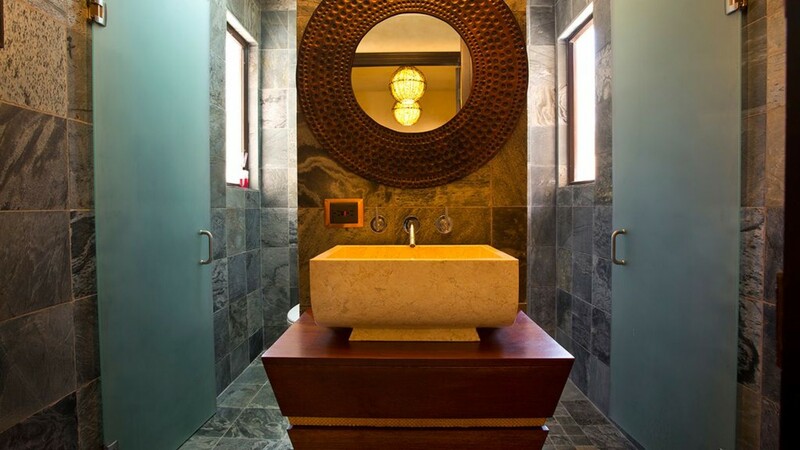 The private en-suite bathroom offers a large bathtub and shower. There are three queen-sized guestrooms throughout the property. Two of the bedrooms can be converted into bunk beds or twin beds on request. The estate includes the two private guesthouses on the first tier of the property. The two guest houses each feature spacious king-sized bedrooms. The bedrooms offer private en-suite bathroom that includes showers. 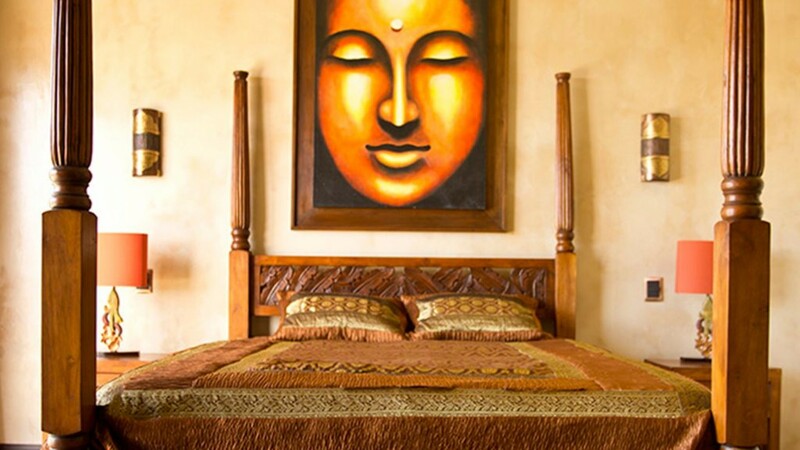 The guesthouses offer your guests an additional sense of seclusion and privacy. The separate living space includes a fully equipped kitchenettes and lounging space. The guesthouses open out onto the large terrace featuring the incredible infinity edge swimming pool. The views of the garden and bay are unobstructed here. Bedroom 1 Master: Large Master Suite, Luxurious King-sized Bed, Private En-suite Bathroom, Bathtub/shower combination, Jetted Bathtub, Shower, Desk, Flat screen TV, Access to Balcony, Panoramic Views. Bedroom 2: Luxurious King-sized Bed, Private En-suite Bathroom, Bathtub, Shower, Flat screen TV, Access to Balcony, Panoramic Views. Bedroom 3: Lavish Queen-sized Bed, Private En-suite Bathroom, Bathtub, Shower, Flat screen TV, Panoramic Views. Bedroom 4: Lavish Queen-sized Bed/Twin Beds, Private En-suite Bathroom, Shower, Flat screen TV, Panoramic Views. Bedroom 5: Lavish Queen-sized Bed/Bunk Beds, Shared En-suite Bathroom with bedroom 6, Shower, Flat screen TV, Panoramic Views. Bedroom 6: Lavish Queen-sized Bed, Shared En-suite Bathroom with bedroom 6, Shower, Flat screen TV, Panoramic Views. Bedroom 7: Guest House 1: Luxurious King-sized Bed, Private En-suite Bathroom, Shower, Flat screen TV, Private Kitchenette. 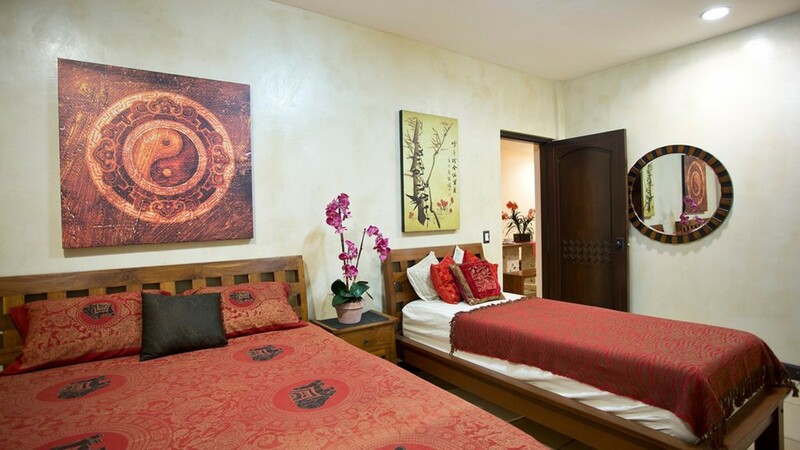 Bedroom 8: Guest House 2: Luxurious King-sized Bed, Private En-suite Bathroom, Shower, Flat screen TV, Private Kitchenette. • Pantry Items; Spices, oils, etc. 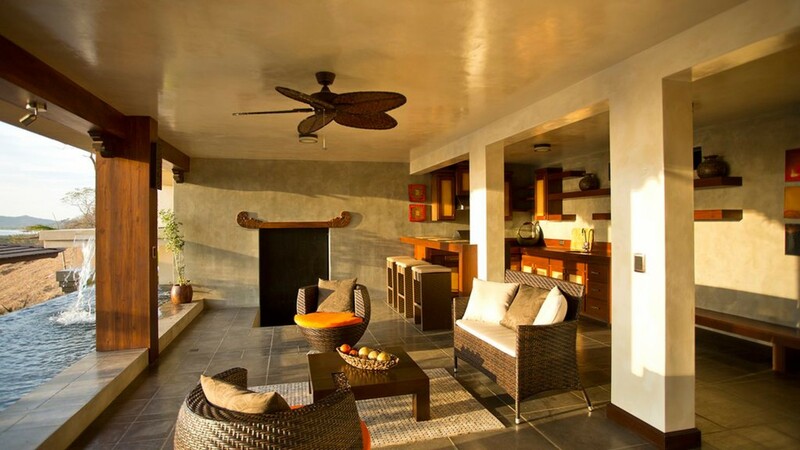 Casa Bali is perched overlooking Tamarindo Bay in Costa Rica. 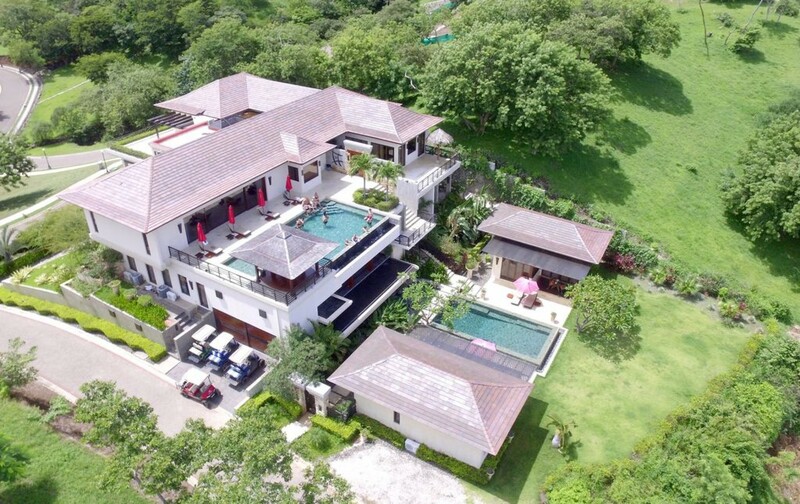 The estate is specifically located in Tamarindo, the villa features panoramic views over the Pacific and is also a short distance from nearby beaches and key destinations. 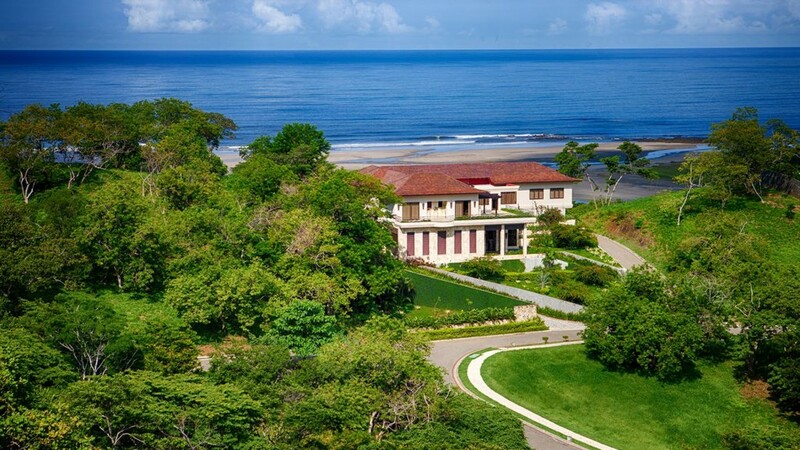 The villa is based near the local downtown area of Tamarindo, located in Costa Rica's northwestern province of Guanacaste. This local village is a vibrant, bustling tourist town that attracts many discerning travelers and surfers. 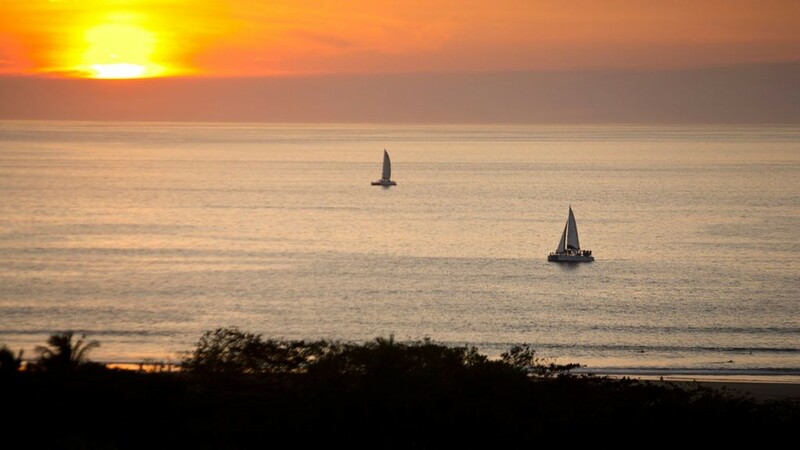 Playa Tamarindo is one of the top places to visit here, with its elongated golden arc-shaped shoreline and turquoise waters. 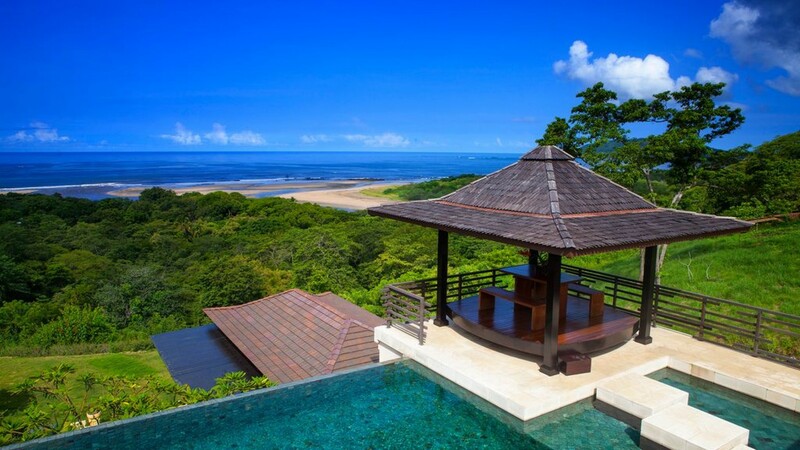 Overlooking the Pacific and verdant green mountains, Casa Bali is a short walk away from this indulgent location. A three-minute drive from your doorstep will lead you to a private tennis club, and fifteen minutes away you can also partake in some oceanfront golf.